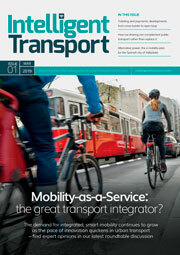 Transport systems are being developed to be safer, greener and more efficient. This requires strength, knowledge and expertise. These characteristics are found in the people, vehicles, technologies and systems that will gather at Elmia. Elmia Nordic Transport Infrastructure is a new trade fair for transport-related infrastructure, intermodality and urban development. Elmia Nordic Transport Infrastructure is the right place if you have or seek products or services that help the transport industry to develop and meet tomorrow’s challenges, all from efficiency to climate goals. Here you will meet government departments and agencies, organisations, specifiers, planning managers, purchasers, operators, researchers and educationalists. All with a shared interest in transports and infrastructure.